ONE PERSON​ should call for each team order and they should have a ​TOTAL for ​ALL​ players, coaches, staff, and parents from their school. Please call immediately for add-ons or deletions. Banquet check-in will be available one hour before banquet starting time. If Any Parents are interested in attending I need to know by Thursday morning Oct 18th 9am. The School will pay for the girls. Tuesday Final 4 show up at 8 am play starts at 9am at Rac. 2 Dual matches will be played at once. Mayo vs Lakeville N. Century vs Lakeville S. Between those 2 matches we share 7 courts. So our match will have 3 or 4 courts. So our first match will last about 3-4 hours. Finals usually start around 1pm. We will have 7 courts at this time so everyone plays at once. Players should have money or food for the day. The Rac does not allow coolers. Top 14 should be at Rac. I will excuse Mayo girls. Middle school girls the parents need to excuse. The 4 extra girls Madi, Audrey, Jordan, Ella I will leave it up to them if they would like to attend. Monday Weather looks bad. I will try to get courts. If we go inside. Sorry only 2 courts so Molly and Nandini have off. First outside practice we will have the jv doubles match. 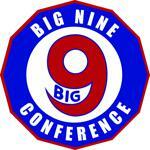 Saturday Big 9 for Varsity My guess is that we will all be split up. So players should plan on bringing there own drinks and food. Because of the Football game this match will start early. Varsity traveling to JM will be dismissed at 2:40. Intros will be at 3:30. So play she be started at about 3:50. Varsity dismissed early. Emma, Emily, Ani, Sutton, Amalin, Ellen, Deeya,Taylor J, Connie, Grace. Nandini and Taylor H. Need to get over to JM by 3ish. Molly and Maddie can come over after school. Everyone else is at Mayo! Fundraising: Please try and return your cookie fundraising money to one of the captains by the end of the week. Thank you! On Saturday, the girls will be decorating tennis balls for the Mayo homecoming parade. Ball decorating will take place at Emily Norman's house. We request that each girl bring a bag of candy that can be used to fill the balls. (All candy must be wrapped and small enough to be stuffed inside a tennis ball. Also, please no lollipops for safety reasons when the balls are thrown at the parade). Finally, if anyone has Puffy Paint they could bring that would be wonderful. We need as much Puffy Paint as possible for 38 girls to decorate approximately 300 tennis balls. Thank you! Tuesday 3:30 Team Pictures tennis court everyone (RAIN OR SHINE) INSIDE? Friday Lourdes Match Varsity 3:30 Mayo courts. I will find out where Lourdes would like to play jv. Tuesday Varsity at JM Monday we should know how many play at JM the rest will be at Mayo. Friedell and Lincoln students will need to get to Mayo or WC. Leave door 6 at 2pm. The Mayo girls tennis fundraiser will be held Saturday, August 25th at 3:00 at Amalin Sorajja's house. The girls will be assembling Cookies-in-a Jar. If you are unable to attend, don't worry. Those players in attendance will assemble enough jars for everyone. JV/B Squad players are being asked to sell 5 jars, and varsity players 10 jars. The cost of each jar is $10.00. Please return the cash and/or checks in the envelope provided. All checks should be made out to Mayo Girls Tennis. If you have any questions, please don't hesitate to ask one of the captains. Our goal is to have the jars sold and the money collected by the following Saturday. We hope you can make it! Practice Cancelled. PAC Meeting 5:30 for Parents and players in the Media Center. 6:30 move to Auditorium for Mr. Whitney. Thursday Albert Lea I am not sure if we play at 2 or 4 so check back for departure time. Varsity practice all returning letter winners 9-11am. Some players will move up from the afternoon practice morning practice as the week moves on. The 2nd week will have everyone practicing in the afternoon because workshop for teachers has moved to this week. That time of year again to see if team/parents want to go to the State Banquet? If we do decide to go I need to let them know a number attending. School pays for players. If parents want to go they must let me know and pay me prior too. ONE PERSON should call for each team order and they should have a TOTAL for ALL players, coaches, staff, and parents from their school. Each team should have one representative collect all money and check-in. Tuesday final four at the RAC. Show up 8:15 play starts at 9am. We will have 3-4 courts for our match with Century. So not everyone will play right away. We will draw Tuesday morning to see in what order positions will play. Bring homework to work on. Bring money for lunch. No coolers allowed in the RAC. So bring enough drinks for yourself for the day. Finals will start around 12-1. Every position will start at the same time for the finals. Captains will tell you what uniform to wear. Thursday Individuals All Day at the RAC only top 6 will play. We will let you know by Wednesday who will be playing. The rest will practice on their own. If we go indoors only 12 will practice. Emma, Amalin, Taylor, Sutton, Emily, Ani, Kailee, Ellen, Deeya, Grace, Taylor and Connie. Thursday Home match. Winner between JM and Farmington. We play Hopkins first. at Hopkins H.S. Hi MGT Families, Saturday September 9th at 2:30 pm we will be tennis ball decorating/stuffing for the homecoming parade. Please bring 2 bags of candy (not chocolate or suckers). Also please try to bring fabric markers, puff paint pens, or something else to write/decorate the balls. This will be held at Kailee Johnson's house. The address will be sent out at a later date. Any questions can be directed to the captains. Please wear clothes that you wouldn't mind getting dirty. Go Mayo! The parking lot by the tennis courts at Mankato West are under construction. If you plan on going to the match you will have to park in the south lot. EVERYBODY meets at the Mayo courts at 2:15pm today. Most JV will play at Century. The Mayo girls tennis fundraiser will be held Sunday, September 3rd at 1:00 at Emily Norman’s house. The girls will be assembling Cookies-in-a Jar. If you are unable to attend due to a prior commitment or vacation plans, don’t worry. Those in attendance will assemble enough jars for all the players and the captains will deliver the jars to those players who were unable to attend the following week at practice. JV/B Squad players are being asked to sell 6 jars and varsity to sell 8 jars. The price of each jar is $12.00. Emily will be sending out the address to her house via text to the players. If you have any questions, please don’t hesitate to ask one of the captains. Thank you. Practice for Varsity, JV, and the Green Squad will be from 3:30-5:00pm on MONDAY 8/28. Here are the squads as of 8/26. This is what the coaches have seen up to this point. Players can move up and down based on how they play against their competition. TUESDAY: Varsity, #1 and #2 singles JV and #1 and #2 Doubles JV home against JM(3:30PM). EVERYBODY else at JM(3:40PM). 2:00 - Mayo vs. Northfield. 4:00 - Albert Lea vs. Northfield. 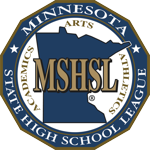 6:00 - Mayo vs. Albert Lea. Fall 2017 PAC meeting will be held on Tuesday August 22nd in the Auditorium at 6:00 which at that time Jeff will do his presentation. I received emails from a majority of you that wanted to meet after his presentation. I have secured the following rooms for the team breakout sessions. All returning Letter winners will practice 9-11. All returning JV, B-squad and new players will practice 3:30-5(except WED). All practices will be at the Mayo Courts. First practice is August 14. Some players from the 3:30 group will be moving to the morning session On Wed. the second group will practice from 11:00-12:30pm.